Real Estate: Consists of a 4.16+/- acre corner parcel with frontage on Billings Rd. and Rt. 90. Improving the site is a commercial garage facility comprised of (2) single story metal framed steel buildings totaling 10,500+/- SF, built 2006. The main building contains 6,000+/- SF and is designed with an office/reception area w/restroom, large clear span shop/garage area with (3) overhead doors, mechanical room, employee restroom, and parts storage. 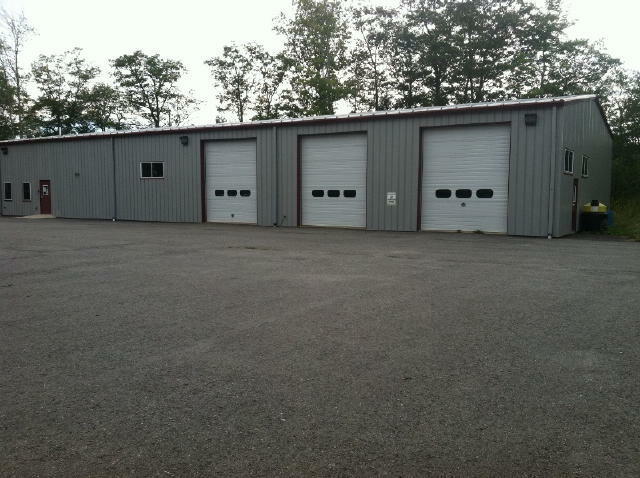 The second building contains 4,500+/-SF and is designed with a large clear span shop/garage area with (4) overhead doors, employee restrooms, mechanical room and parts storage. Other features include radiant floor heat and Buderus boilers, exterior chain link security area, and paved parking. Reference Warren Tax Map R11, Lot 18-3. Directions: From the intersection of Rt. 1 and Rt. 90 (Camden Rd.) in Warren, follow Rt. 90 northeast for approx. 3.8 miles. Take left onto Billings Rd. and continue to first property on left. Terms: A $20,000 deposit (nonrefundable as to highest bidder) in CASH or CERTIFIED U.S. FUNDS, made payable to the Keenan Auction Company (deposited with the Auctioneer as a qualification to bid), with balance due and payable within 30 days from date of auction. The property will be sold by public auction subject to all outstanding municipal assessments. Conveyance of the property will be by release deed. All other terms will be announced at the public sale. For a Property Information Package visit KeenanAuction.com or call (207) 885-5100 and request by auction number 14-41. Richard J. Keenan #236. Our 42nd Year and 6,574th Auction.